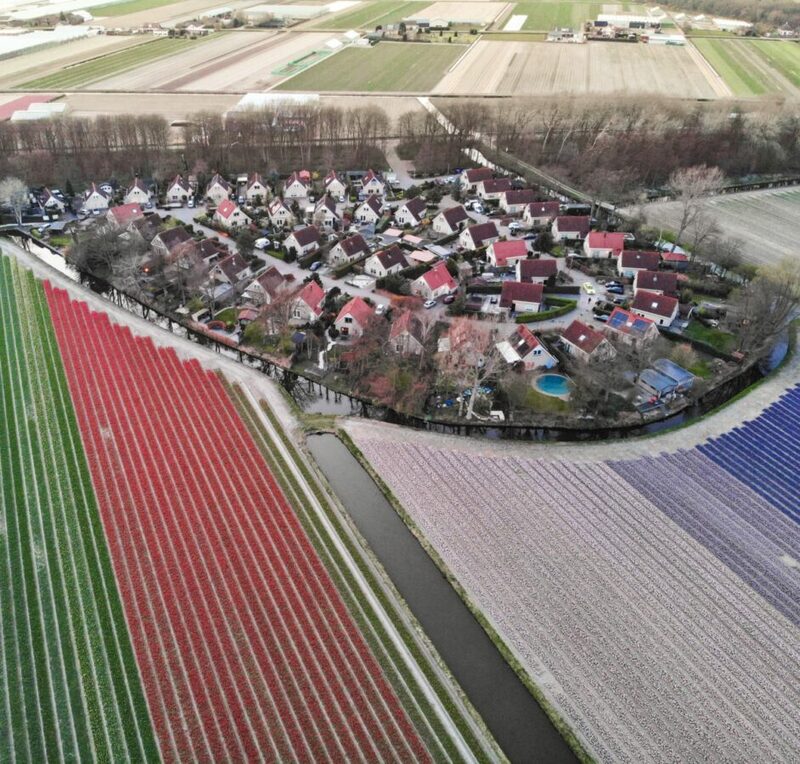 Home Culture photo report Photo report: Amazing drone shots of the tulip fields just for you! It’s time for one of our photo reports everyone! 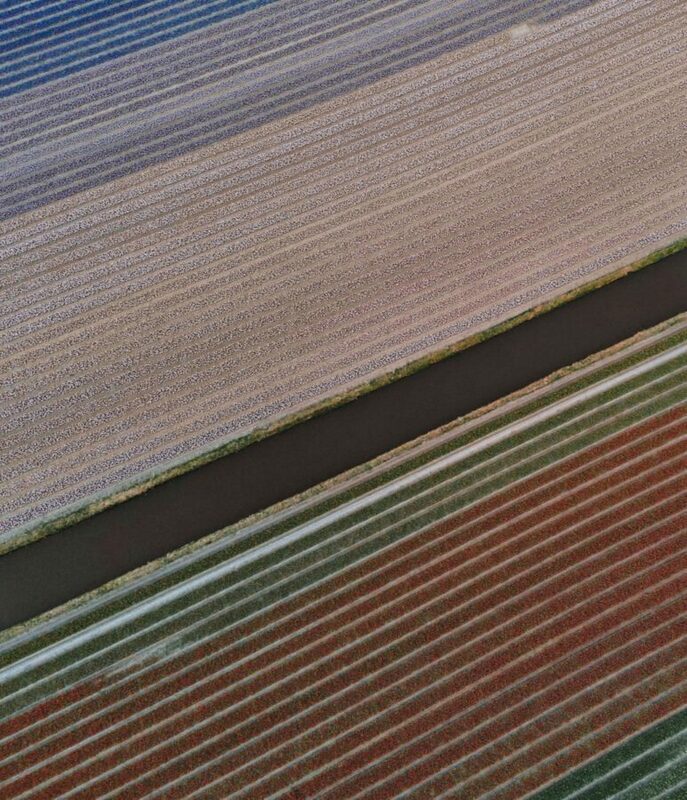 This time, we wanted to see the tulip fields from up above, and enjoy the different colours and the fields that come together to make it perfect for a drone picture. When it is tulip season in the Netherlands, everyone comes out to enjoy them from up close. There are flower parades, and shows happening in a lot of places, so know where you want to go to enjoy them to the fullest! I, for one think it would be more interesting to see it from an aerial view. 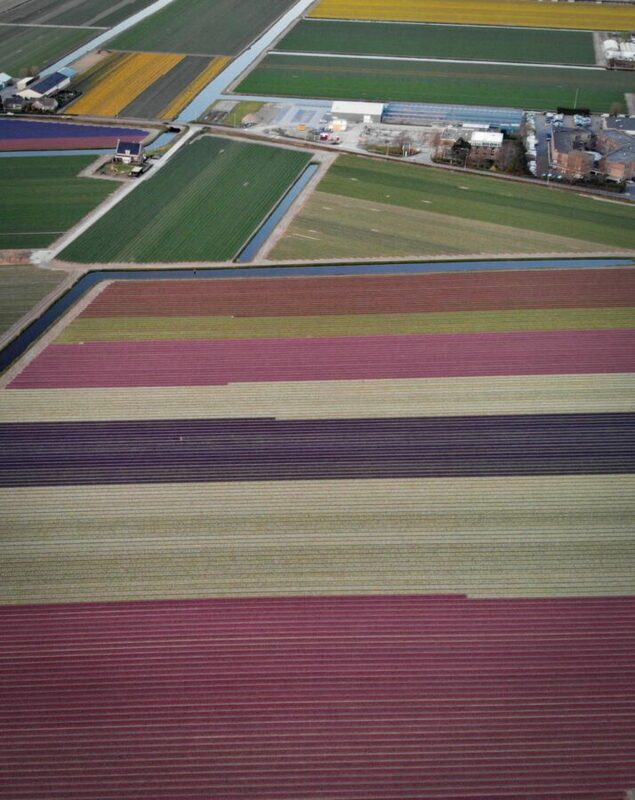 Sky diving and visiting the tulip fields are both on my bucket list, so hey – two birds, one stone! Unfortunately, skydiving can be expensive so I need to save up enough for that. For now, I keep an eye out every time I am on a flight to catch a glimpse of the colourful patches. 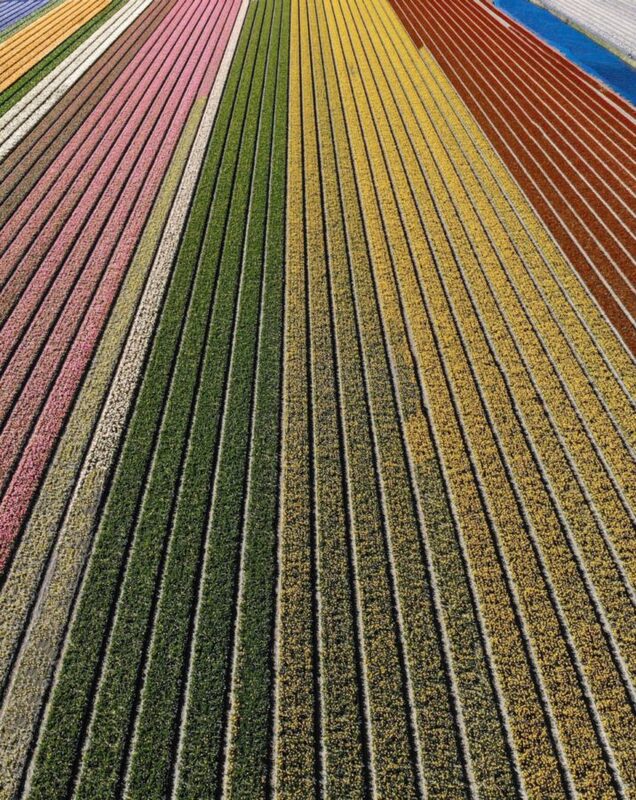 Imagine my excitement when we happened upon @arden_nl on Instagram where he takes drone shots of the tulip fields! So we just had to collaborate with him, and put together his best drone shots together in this photo report. 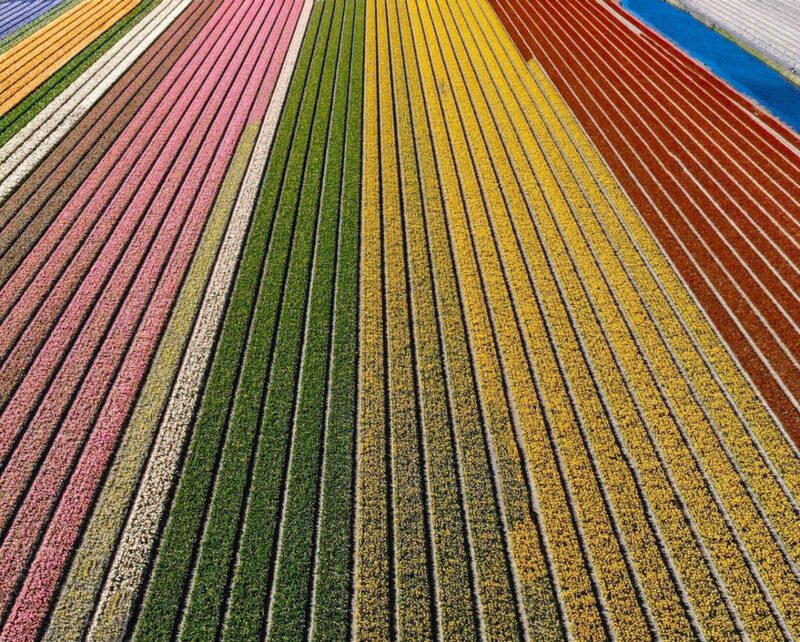 Lisse is a town just southwest of Amsterdam, and is a famous for its Keukenhof gardens. The garden itself is a tourist favourite, and with good reason! Almost everyone who comes to the Netherlands for the tulip season for the first time try to get to these gardens. It is truly a treat for the eyes, and a perfect way to spend a day in the summer. You can hop on your bike, or take your car and just drive around enjoying the sight. Noordwijkerhout is in the west in the Duin- en Bollenstreek region (or Dune and Bulb region) of the Netherlands, which is also a tourist and local favourite because of the flower fields, and the coastal dunes. 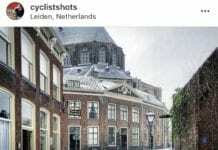 It is close to Leiden (which is great to explore too! ), and is situated right in the heart of Holland (not the Netherlands 😉 ). 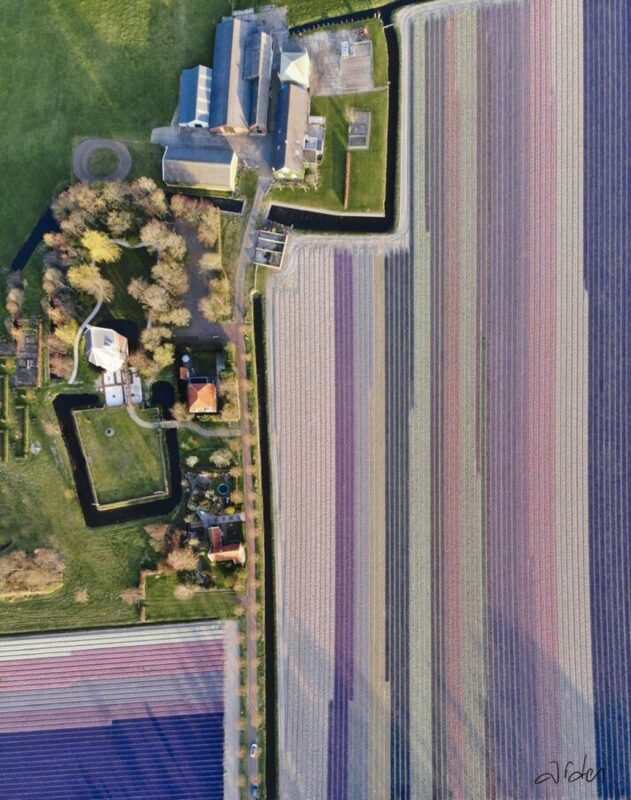 It is only one of the few places in the Netherlands to visit the flower fields in 2019. 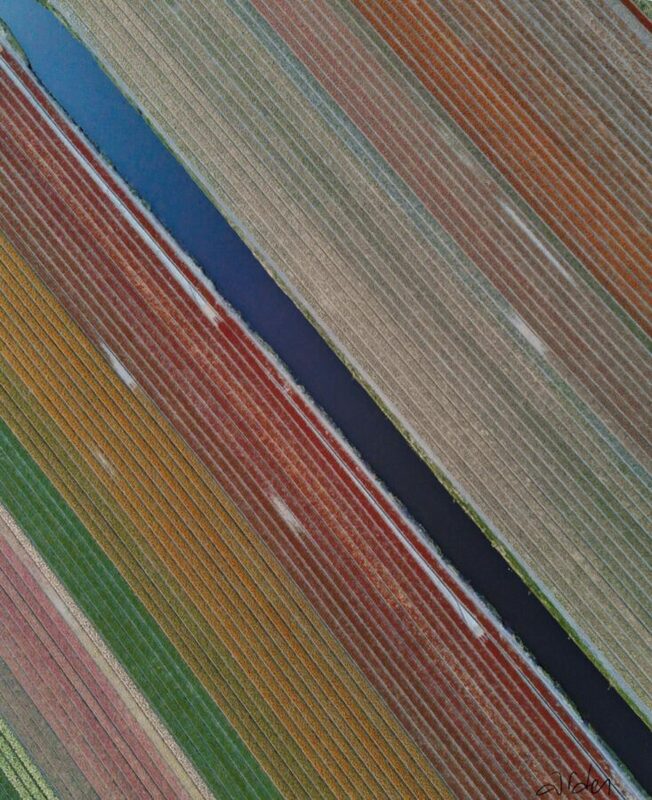 Do you have time to watch a video of the tulip fields? Arden has got you covered! Of course, you’re not allowed to walk through the fields because it could damage them, so be sure to check out our guide to find out what else to avoid! 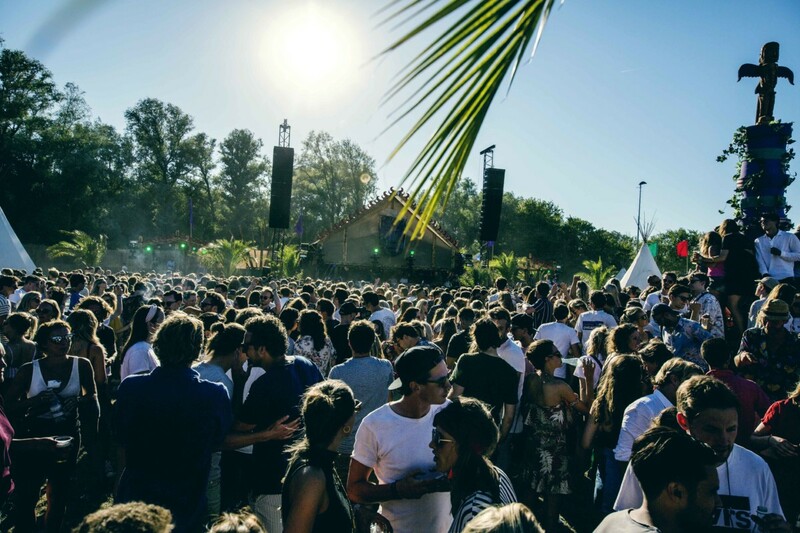 Here are a few more pictures from Arden from around the Netherlands! 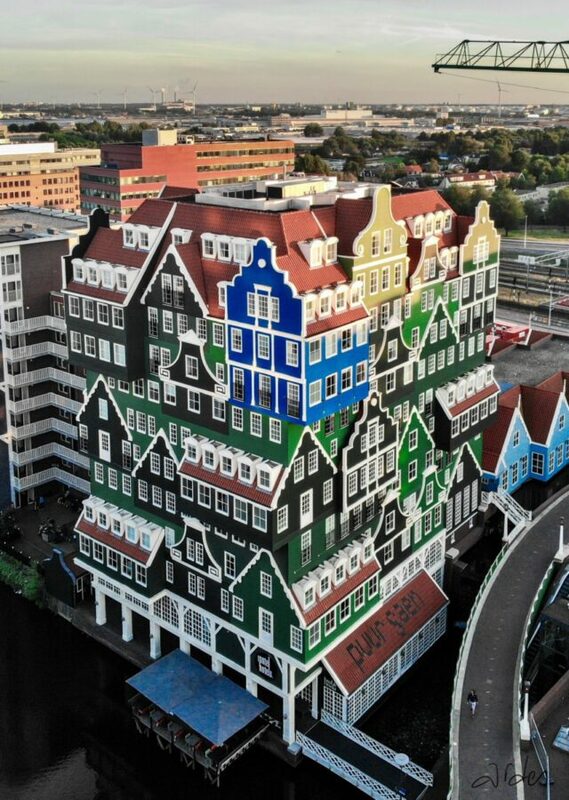 First up are a series of the different sides of the Amsterdam. 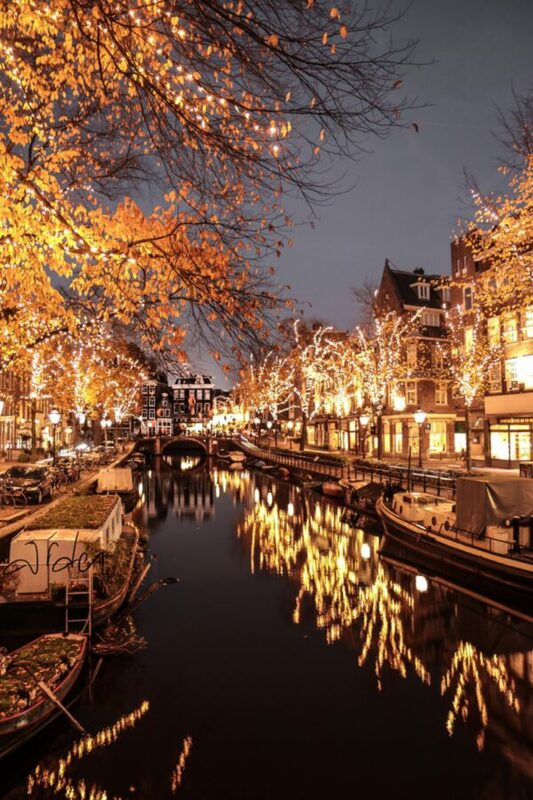 Amsterdam in November is when the temperatures are cooling down, and the weather is getting a bit more grey, but it still makes for great pictures, especially from Arden! 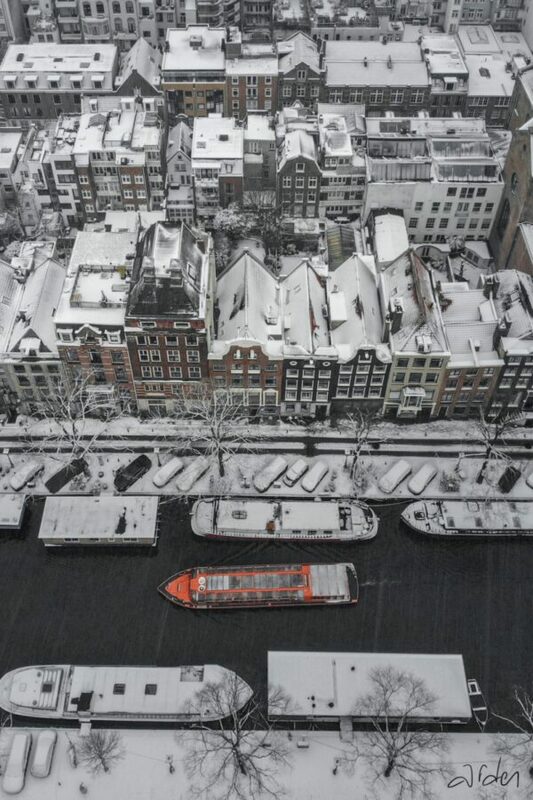 Amsterdam in snow: as the temperatures get colder, and everyone tries to find a way to make their indoors more cozy, people might come out to play in the occasional snow that the city gets. We hardly see a heavy covering of snow, but when it is there, the city looks beautiful. 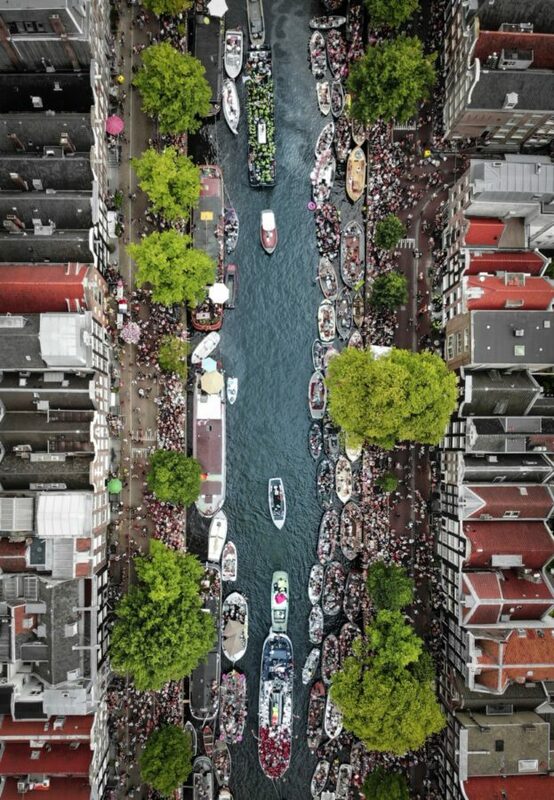 Ever been to the pride parade at Amsterdam? This is how it looks from up above! Everyone should participate in these parades to stand with our LGBTQ+ brothers and sisters, because the city used to be a lot less gay-friendly. 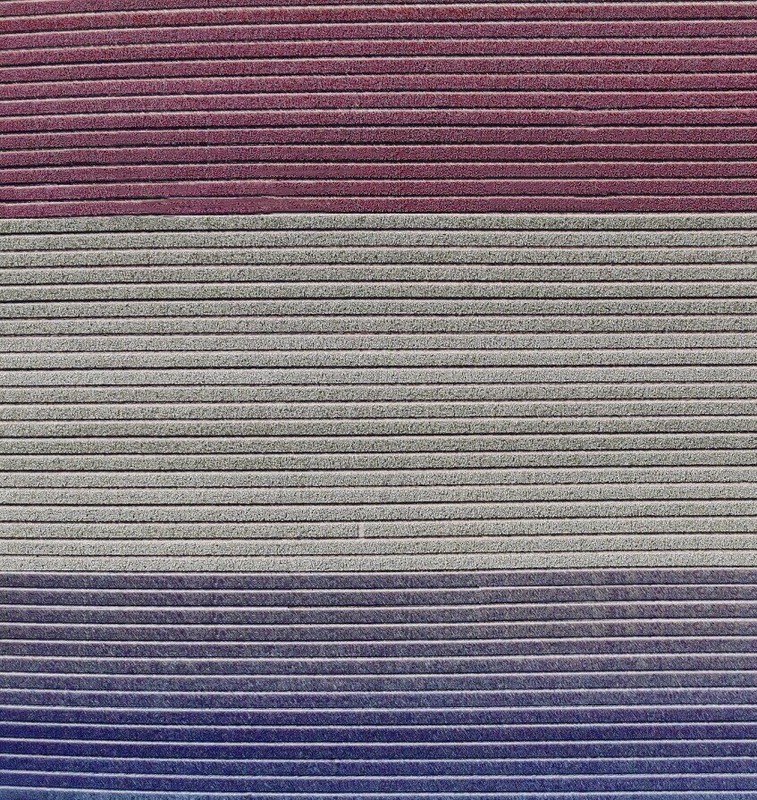 We still have a long way to go to make sure there’s LGBTQ+ equality. Sometimes called the Venice of the Netherlands, Giethoorn is a beautiful Dutch town in with long winding canals which you can go through in boats. 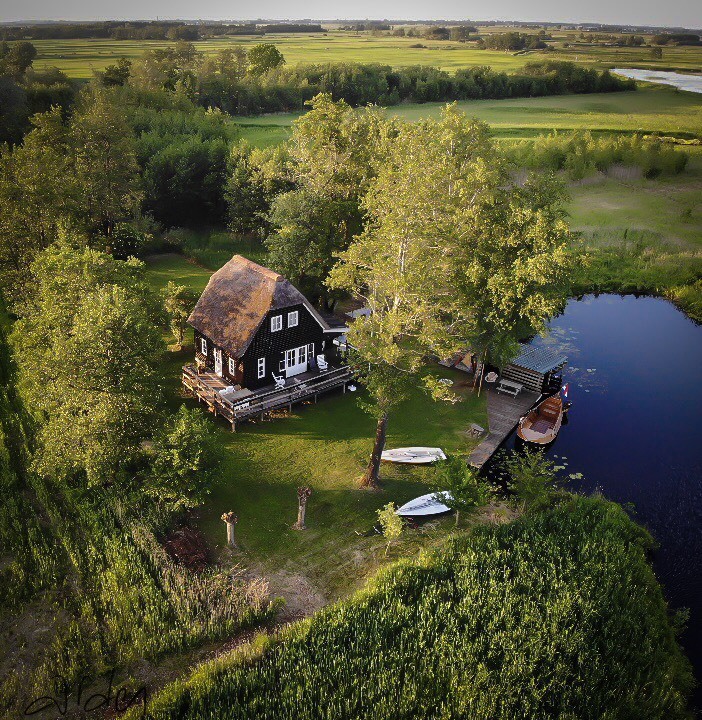 The perfect way to spend the day in the Netherlands by just enjoying the beautiful nature this town has to offer. 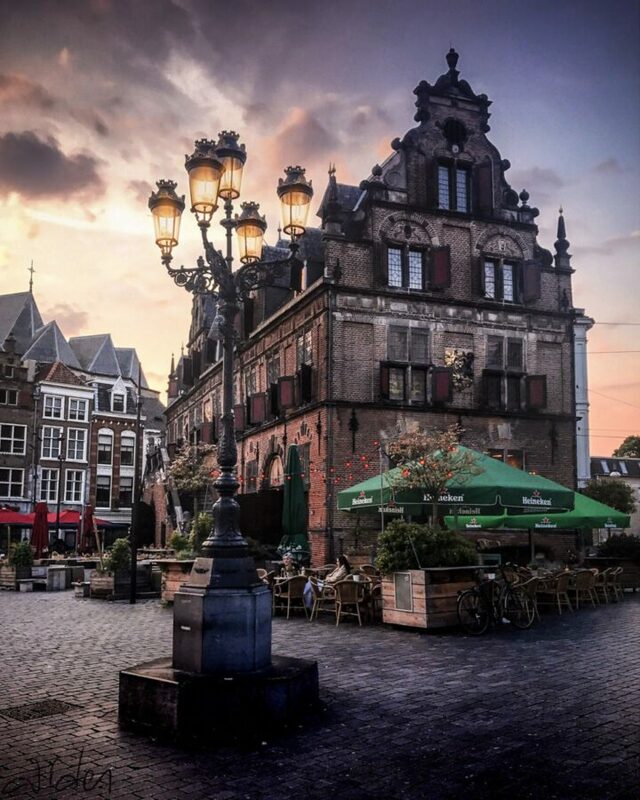 If you’re looking for other beautiful Dutch towns that are not Amsterdam, this is one of the places to go! Seems to be a photographers favourite because this city was also featured in our last photo report! 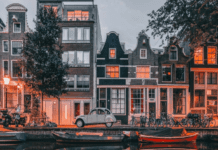 Widely known for its windmill park Zaanse Schans, the town itself has a lot to offer in terms of quirky and colourful architecture. 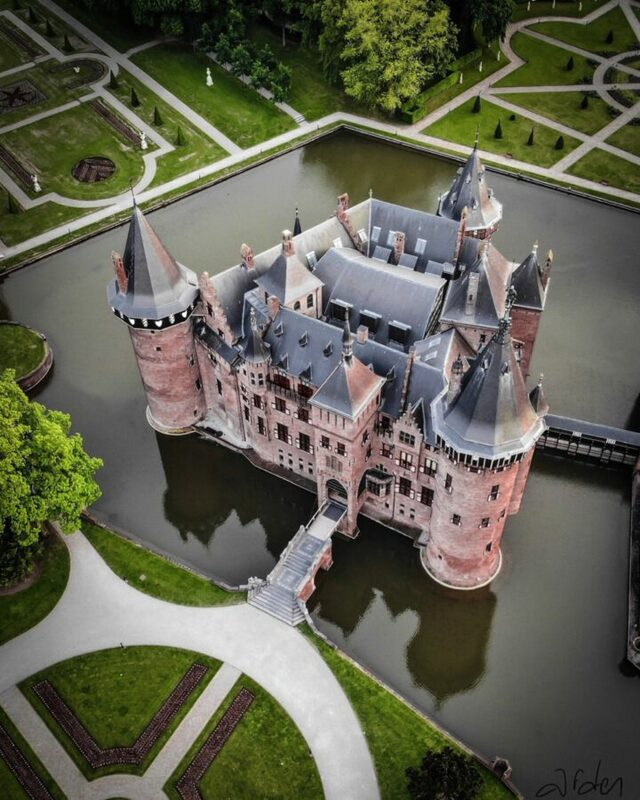 This castle in Utrecht is supposed to be one of the most luxurious castles in the Netherlands. Built in 1391, the castle grounds stretch for 135 acres. The castle’s gardens were mostly destroyed in the world war two but they have been restored so that everyone can enjoy them. So how did you like our photo report? Does it make you want to go to the tulip fields yourself? Or go to one of the other places featured here? Don’t forget to follow @arden_nl on Instagram for more! He also just started a photography page on Facebook, so go on and give him a like. And when you do go here, don’t forget to tag and follow @dutchreview too. Let us know in the comments if there are ore places you’d like to see featured! Pretty towns and Perfect pics. 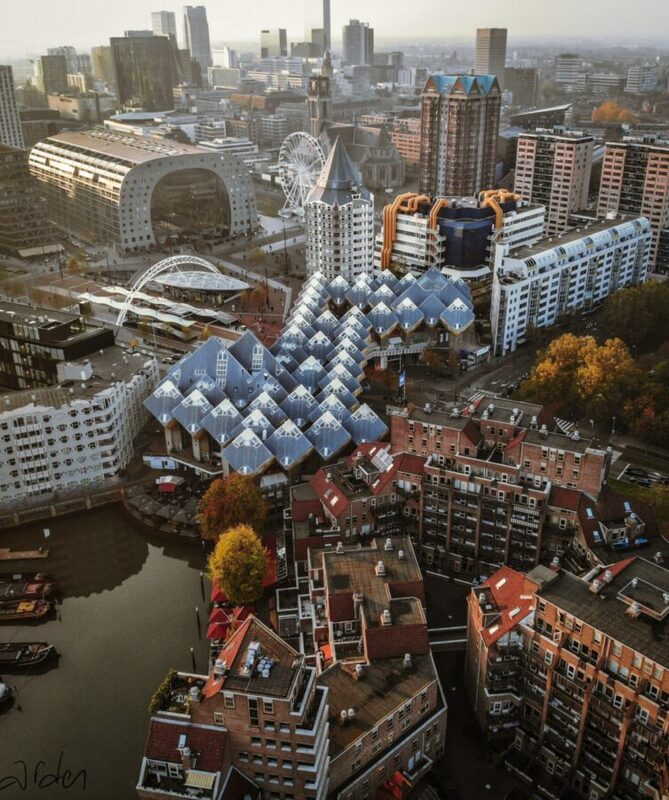 These could be the best photos of the Netherlands you will ever see! 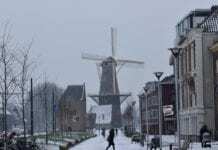 More beautiful snowy pictures of the Netherlands that you just can’t get enough of!